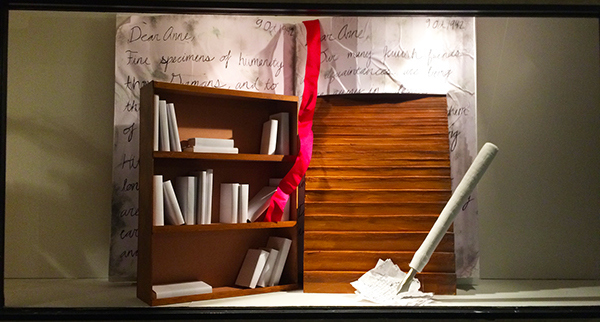 The theme for this window display is based off the Anne Frank Remembered movie. 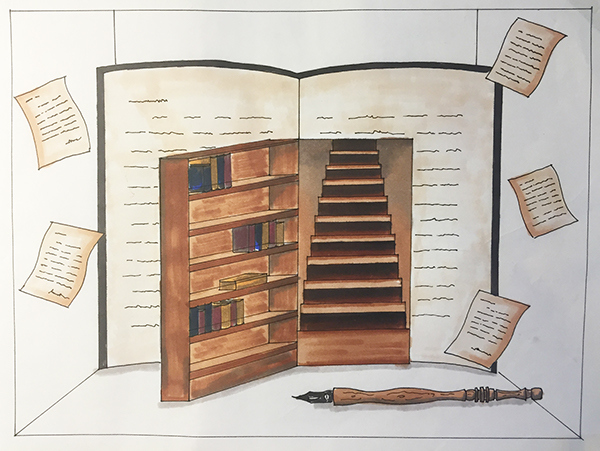 My group and I wanted to use iconic elements from Anne Frank's story which are the hidden staircase, book shelf, and her diary. We created everything from scratch by using different fabrication techniques.